As you're putting together your business and marketing plans for 2010, think about the events you'd like to host for your clients and prospects. What can you do that's special? How can you create an environment that encourages ease of conversation and a relaxed atmosphere that leads to referrals and new business? Many of my financial advisor clients have had great marketing success with wine tasting events in recent months. So I've put together this "How to Guide" for how to host a wine tasting party for your clients and prospects. This post will give you a step by step process to plan your entire wine event. Wine is the alcoholic beverage of choice for many U.S. consumers. Wine consumption increased 10% in the U.S. from 2001 to 2005 (per http://www.wineinstitute.org) and events such as wine tastings, wine parties, and wine dinners have become the "in thing." The real bonus with wine is that not only does wine tend to appeal to the upper socio economic population, but financial planning and wine just seem to go together. I LOVE wine and enthusiastically attend many events associated with the grape. Will your event be a party for a select group of clients and their guests? A celebration for a milestone your business has reached? A "wine tasting" as opposed to an informal "wine party"? 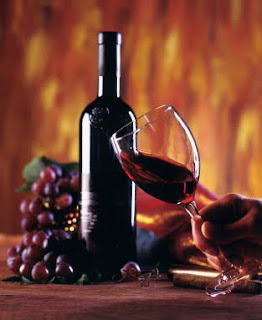 For a wine tasting you will need a wine evaluation form to rate each wine and you'll need nibbles to go with each wine. For a wine party, you'll need heavy appetizers in addition to the wine. For the purposes of explanation, the remainder of this "How to Guide" will deal with the planning of a wine tasting event. You can keep your event small and intimate by inviting your top five clients and their spouses. You can increase your circle of influence by asking your clients to bring a friend. This can provide a nice group of twenty or so people. How much do you want to spend? For a group of your five best clients, their spouses, and friends totaling twenty people, you can plan on purchasing one bottle per four attendees. You can find great wines for $12-$18 per bottle. So for wine you can plan on spending roughly $90.00 - $100.00 for five bottles of wine. You may also find that guests bring a bottle with them. You may want to select a theme for the wine tasting. You can go with "Reds" or "Whites." You could do "Chardonnays from California" or "Fine Wines of Australia" (which I'm quite partial to since I was born in Australia!). You'll want to provide nibbles for each wine served otherwise you'll have a lot of tipsy guests falling all over the place. A variety of bread, crackers, cheese, fruit, and cold proteins like ham, shrimp, and chicken would be more than adequate. Plan on spending $200.00 or so for food. Many of my clients choose to host a wine tasting in their own home or at the home of a client. This encourages a relaxed atmosphere and saves on the cost to host the event at a restaurant or bar. · Online via email: Use Evite if your event will be on the small side. Evite is an online invitation site that has wine-themed event templates that allow guests to submit their replies via email. You are then able to view attendees and their comments on the Evite web site. · Print invitations: Use if the event will be comprised of guests who don't know one another. There are many wine-themed invitations you can use to "brand" your event. · Phone your guests ahead of time to confirm their attendance. Then send out your invitations three weeks in advance. · Clean wine glasses – larger sized glasses are best for wine tastings due to their ability to "swirl" the wine and view the "legs" of the wine trail down the interior of the glass. · Half the fun of the event will be when guests are noting their preferences on the wine evaluation form and making comparisons. There will be some surprises and interesting conversation regarding opinions and preferences of each wine. · Don't forget to mention what you do for a living when speaking with your client and guests. Find a way to slip in a comment about the economy or the market now and then. While you want this to be a social event, you also want to ensure that guests know that you are a financial planner and that you have expertise in various areas. · After the event, you'll want to follow up with attendees in a pleasant, natural way. Whether you choose to invite a few clients and their friends or host a larger gathering, wine provides a social environment with intimacy and bonding that builds lasting relationships that will grow your practice in 2010.